Most people notice the first signs of aging as they’re heading into their 40s. While flatter cheeks, sagging skin, a duller complexion, and the appearance of fine lines may all be part of normal facial aging, cosmetic fillers can help you turn back the hands of time. 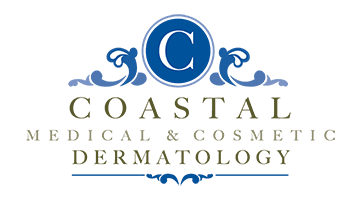 At Coastal Medical & Cosmetic Dermatology in San Diego, La Jolla, and Chula Vista, California, board-certified dermatologist Dr. Darrell Gonzales offers a wide range of cosmetic injectables, including dermal fillers If you want to learn more about looking more youthful through cosmetic fillers, call the office or book your appointment online. As you get closer to middle age, you may begin to notice that your facial skin isn’t as supple, even, or smooth as it used to be. To compound the problem, you may also note that your face looks a bit more drawn that it once did, as if your facial muscles — the ones that you use all day long to talk, smile, and squint — have begun to break down. What you’re observing is facial deflation, a natural age-related process that begins around the age of 30. Facial deflation is what’s responsible for the flattened cheeks, thinning temples, and lip thinning that are common among middle-aged and older adults. Cosmetic fillers, also known as dermal fillers, can address the many facial changes brought on by aging, including facial deflation. These minimally-invasive injectable aesthetic products are made with collagen, hyaluronic acid, and other pure substances known to help rejuvenate facial skin and enhance facial volume. What are the benefits of cosmetic fillers? If you’re searching for a safe, effective, non-surgical way to temporarily reverse age-related facial deflation and smooth out wrinkles and lines, look no further than cosmetic fillers. With immediate results, few risks or side effects, and virtually no downtime, it’s obvious why cosmetic fillers are one of the most commonly-requested aesthetic treatments. Which cosmetic filler products are available? This leading collection of hyaluronic acid fillers, which includes Juvéderm Voluma® and Juvéderm Volbella®, is designed to instantly and subtly add volume to specific areas of your face, including your cheeks and lips. This advanced collection of hyaluronic acid fillers, which includes Restylane Silk and Restylane Refyne™, is designed to restore facial volume and correct moderate to severe wrinkles to create a fuller face with smoother, more youthful-looking skin. After your initial consultation and evaluation, Dr. Gonzales develops a customized treatment plan, selecting the cosmetic filler products that best meet your aesthetic goals. Dr. Gonzales also gives you thorough pre-procedure instructions detailing the things you should avoid before your appointment, such as aspirin, ibuprofen, and smoking. It’s also important to stay well-hydrated both before and after the treatment. Dr. Gonzales administers cosmetic fillers with a few tiny facial injections, which are generally considered painless. The average session lasts 10-20 minutes, with immediate results that may last anywhere from one to two years, depending on the product.